Queensland Country Life journalist Lucy Ziesemer wrote on 21 September 2016: 'Debate flares: The Queensland Department of Agriculture and Fisheries remains adamant its fire ant eradication program is on track. Readers would be forgiven for expressing surprise and disbelief at the notion of Queensland's fire ant infestation being out of control, but that is precisely what one former DPI employee is suggesting.' http://www.queenslandcountrylife.com.au/story/4179554/pressure-on-state-government-over-fire-ants/?cs=4733#! The debate was sparked by a new round of fire ant treatment across the south east due to begin this month, which eradication program director Geoff Kent said would focus on halting the ants’ spread south into the Gold Coast, west into farming areas in the Lockyer Valley and across new housing development sites. Writer and researcher Dr Pam Swepson worked as a liason officer between the DPI (now DAF) and industries and communities affected by fire ant infestations in Queensland before moving into a report writing role for stakeholders funding the fire ant eradication program that started in 2001. It was in this role Ms Swepson learnt of the unsettling under-reporting of the fire ant issue and decided to blow the whistle on what she said was a monumental cover up. “When the Americans came here in 2001 they were ambivalent about the idea of eradication and suggested the first thing to do was undertake an aggressive containment program to stop the spread,” she said. 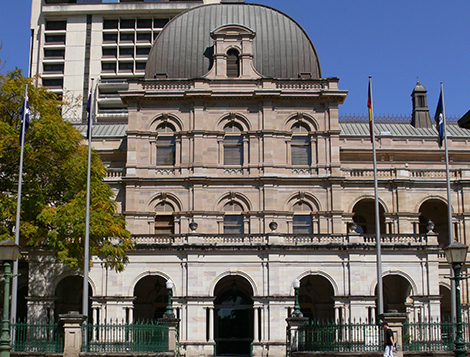 “The Beattie Government came in at the same time and they knew there was a lot of money to be gained from the Commonwealth if you promised eradication- if fire ants were determined to be a pest of national significance, which they are, and if Queensland could demonstrate they could be eradicated then 50 per cent of funding comes from the Commonwealth and the rest comes from the other states with Queensland’s contribution being about 10 per cent. Ms Swepson said $350 million of public money had been injected into Queensland on the promise of eradication but the fire ant infestion in South East Queensland was now out of control. “I blew the whistle in 2003 because the program was failing and nobody took that seriously and its continued to this day,” she said. “The spin has been that it’s all good but I know from field staff I’m in touch with there’s an actual under-reporting of how many nests they’re finding- farms that had one or two nests now have hundreds. Ms Swepson said the key was the current program was failing because recommendations for containment were not being adopted. “It’s one massive cover up and nobody has come in to do anything to fix it because the spin has been very positive,” she said. A DAF spokesperson said Ms Swepson’s accusations were “blatant lies” and financial investment had kept fire ants contained to a relatively small region in South East Queensland. “Of the 411,500ha within the fire ant biosecurity zones in South East Queensland only around one per cent of this area has actual fire ant infestation,” the spokesperson said. “The investment to date means we are not seeing the terrible impacts seen in the United States which spends an estimated $US7 billion annually on damage repair, medical costs and control of fire ants. Given how quickly fire ants are known to spread, an uncontrolled fire ant population in South East Queensland would be in the order of 1000 times worse than the infestation we currently have. “The new laws allow the government to create private biosecurity providers to do all the things the government failed to do with $350 million,” she said. Queensland Farmers Federation (QFF) president Stuart Armitage drew on the economic impact of fire ants and said their role in damaging irrigation channels, farming equipment and destroying crops was of increasing concern to all farmers. “QFF is aware that fire ant incursion is increasing, putting at risk significant areas of high-value and high-productivity agricultural land such as Queensland’s Lockyer Valley. QFF calls on the Queensland Government to continue to strengthen biosecurity systems to protect current production from all known pests and diseases and minimise the risk of future incursions that threaten agricultural productivity,” he said. Ms Swepson said the responsibility rested with every state and federal minister whose portfolio covered the fire ant infestation. “I would like to see all ministers involved give an account for why they did what they did,” she said. “For 14 years they’ve been focussed on chasing the last ant instead of containing the ants they knew about and we’re going backwards.